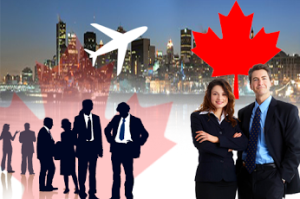 Are you keen to move to Canada with a Skilled Migrate Visa to Canada? You know what—trained migrants share a special relationship with the North Atlantic Country that,perhaps,no other country really enjoys. The primary reason is that the Maple Leaf Country has numerous unheard uninhabited regions that need to be explored and requires lots of manpowerand thus opportunities in Canada are endless. The Immigration, Refugees and Citizenship Canada (IRCC), the concerned organization,gives a golden opportunity to the trained workers to get a Skilled Migrate Visa to Canada. Such applicants come from far off corners of the world and mold their future here. It’s known worldwide the reason behind this generosity. Since the past couple of years, Canada has been facing a serious shortage of skilled workers mainly due to its ageing population.Thus,the Canadian Government wants such professionals who can contribute to the Canadian economic growth and easily substitute the retiring skilled workers. If you are a skilled worker and want to settle in the country,then you can choose to settle in Newfoundland and Labrador through the popular Provincial Nominee Programme (PNPs). Situated in Atlantic region, this amazing and beautiful Canadian province offers immense well-paying opportunities to those who are dedicated and talented. It consists of two land masses,i.e.Islands of Newfoundland and Labrador connected to mainland. Its capital city, St. John’s, is highly populated.Here people,by and large, are warm and welcoming and love to enjoy their life. The Newfoundland and Labrador Provincial Nominee Programme (NLPNP) is often used by the skilled migrants to become the country’s permanent resident and settle in here permanently. What is Newfoundland and Labrador Provincial Nominee Programme (NLPNP)? Through the above stated programmethe province targets the trained immigrants with the required skills, education and experience to settle here permanently along with their dependents. The province claims that the application processing time is faster than any other province in the nation and there seem to be a lot of truth in this. Express Entry is the main gateway for the trained immigrants provided they are admitted to the Express Entry Pool, intend to live in the province permanently, and have a job offer from an employer in the province.It’s not a mandatory condition but it makes the candidate a strong contender. Under the Express Entry,the IRCC is committed to processthe petitions of at least 80% of the skilled candidates within six months from the date complete application is accepted. Who is eligible to apply under the same? Applicantsmust have been successfully accepted under the Express Entry Pool,and to prove the same,they are required to give their Express Entry Profile number (E plus nine digits) even while those without job offer must register selves with the Job Bank, and obtain a four digit validation code from the IRCC. Skilled Worker Category: The NLPNP accepts applications from those candidates who have been offered a full time job from anapproved Newfoundland and Labrador employer.Those who are already working in a province, with a valid visa, are also eligible to submit an application for the same. International Graduate Category: Applications are accepted from those people who have recently completed their graduation, orhave a post graduate degree from a Canadian recognized institute. At the time of submitting the application, the aspirant must either be working or have a valid job offer from an approved Newfoundland and Labrador employer, in tune with their specific field of study. For complete information on the same, you can either visit the official website of the province, or consult an experiencedand well-known Canada immigration consultant. You will learn how you can obtain a Skilled Migrate Visa to Canadausing the Labrador Provincial Nominee Programme (NLPNP), or the Express Entry System, or for that matter some other equally, if not more, easy-to-follow immigration programmes available in the country. Summary: Get a Skilled Migrate Visa to Canada using the very popular Newfoundland and Labrador Provincial Nominee Programme (NLPNP). Previous Post: EB-1 Green Card Process, EB-1 Visa Eligibility !!!!!!!!!!! Next Post: Discover Canada Visitor Visa Requirements to Visit Canada, Move Overseas Easily!